High Count, multi strain Acidophilus and Bifidus dietary supplement. 260 billion cfu’s/gram. Our most popular probiotic ultra-potency powder formulation containing six superior strains of freeze-dried probiotic microorganisms that specifically target and help the small and large intestines. This is a very high potency and purity probiotic supplement containing four lactobacilli and two bifidobacteria. We supply a baby scoop and adult scoop supplying 25 and 200 billion cfu’s respectively. Experiment with the dosages and you decide which dosage is giving optimum results. Q. What is the difference between the CP-1 and the 6-Strain powder? 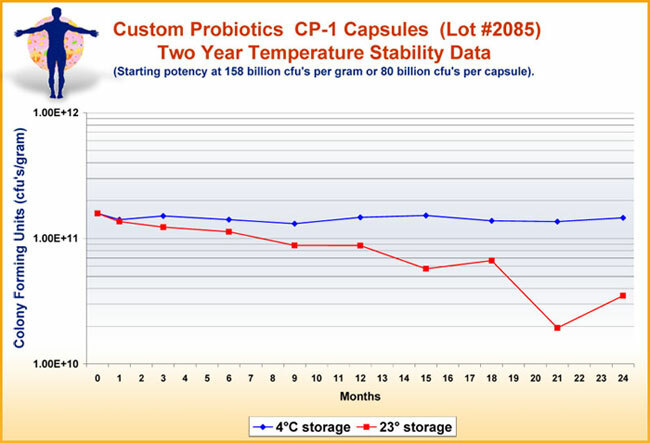 A. CP-1 has 5 strains and is 60 billion cfu’s per capsule at the time of expiration. In addition to the probiotics, it contains microcrystalline cellulose, silcon dioxide and magnesium sterate. The 6-strain powder has an additional strain, L. Salivarius, and is straight culture with nothing else added to it. It is higher in purity and potency with 260 billion cfu’s per gram.